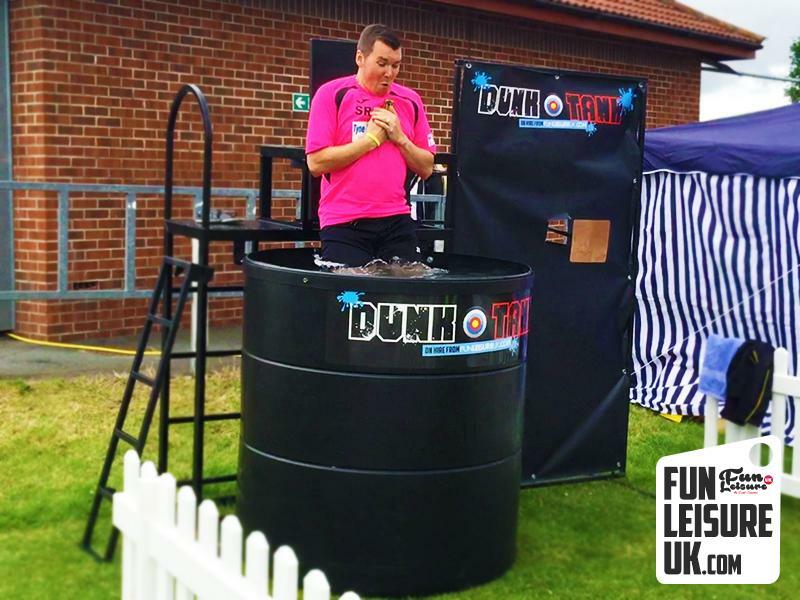 The dunk tank is a guaranteed winner at many events, creating hours of laughter, suspense and comradery. 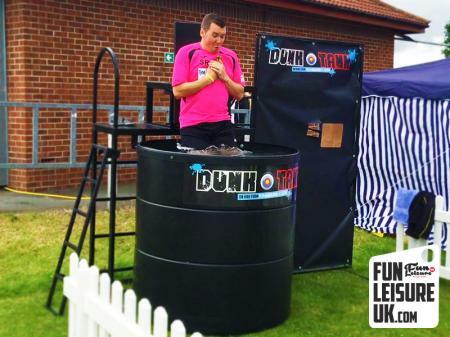 Our dunk tank comes with all the necessary apparatus; we do require a water source within 50m of the desired location. 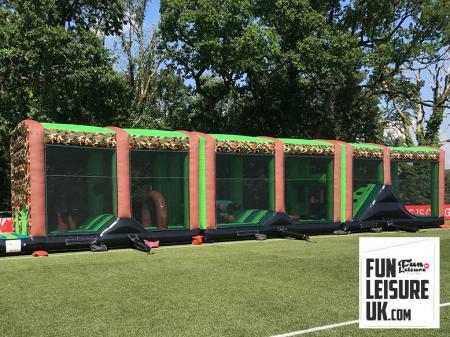 An operator will set up, event manage and de-rig for your event, as always all products are fully insured with Risk Assessments and Method Statements available on request. 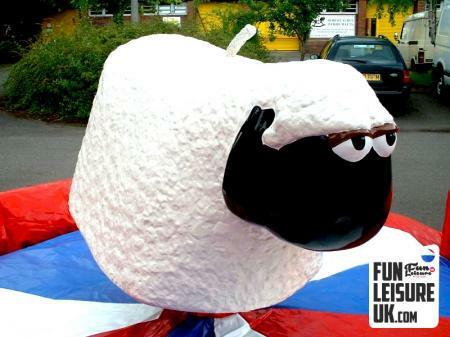 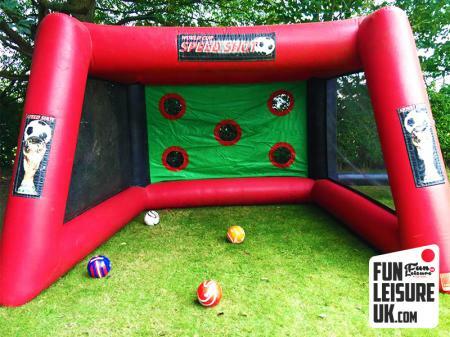 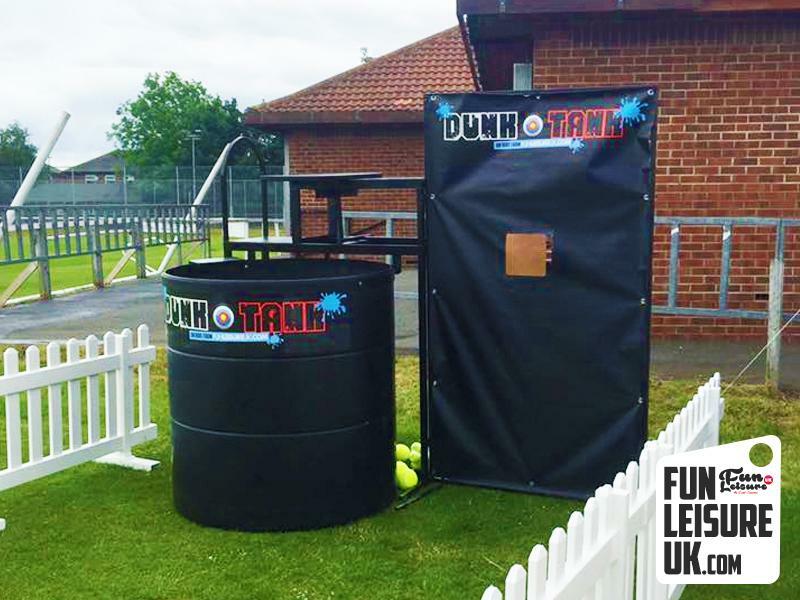 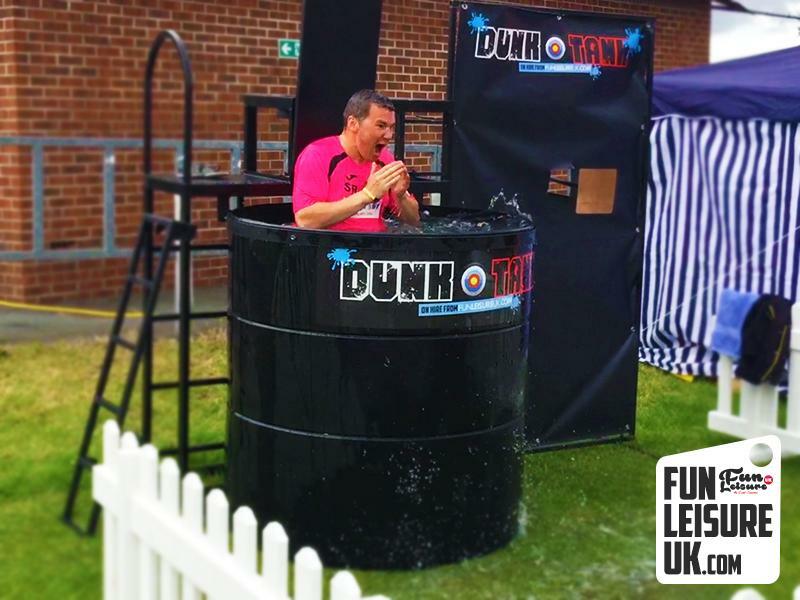 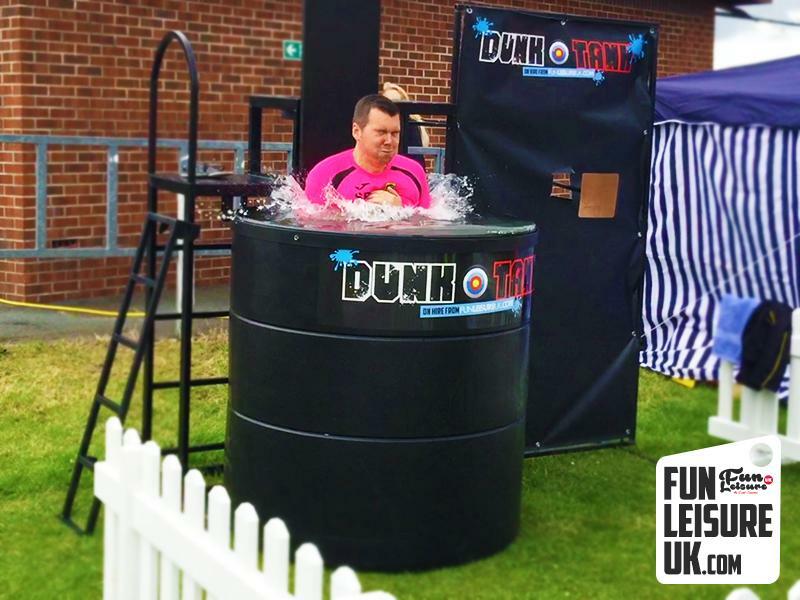 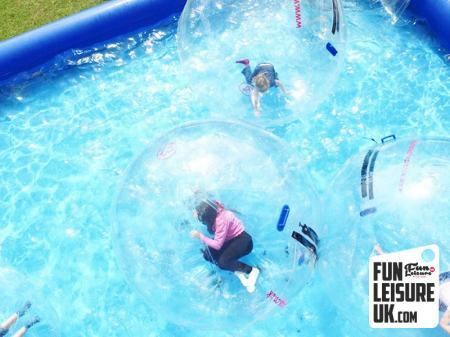 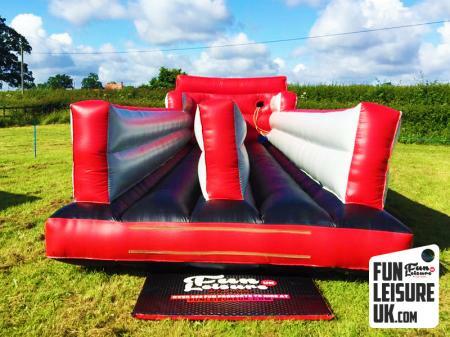 Alongside Dunk Tank hires, we also stock many more interactive and messy products including the new Giant Pie Face, Gunge Tanks & Traditional wooden stocks, perfect for getting your own back or raising awareness of a brand, charity or campaign. 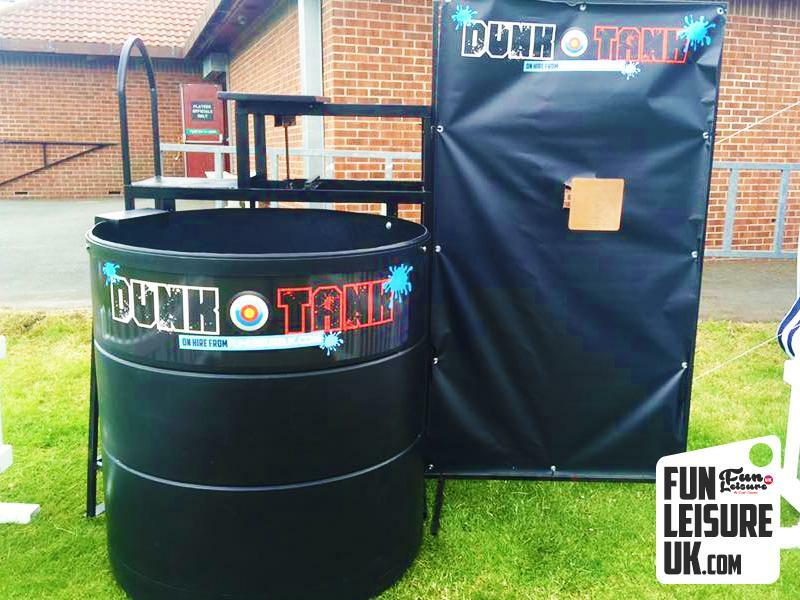 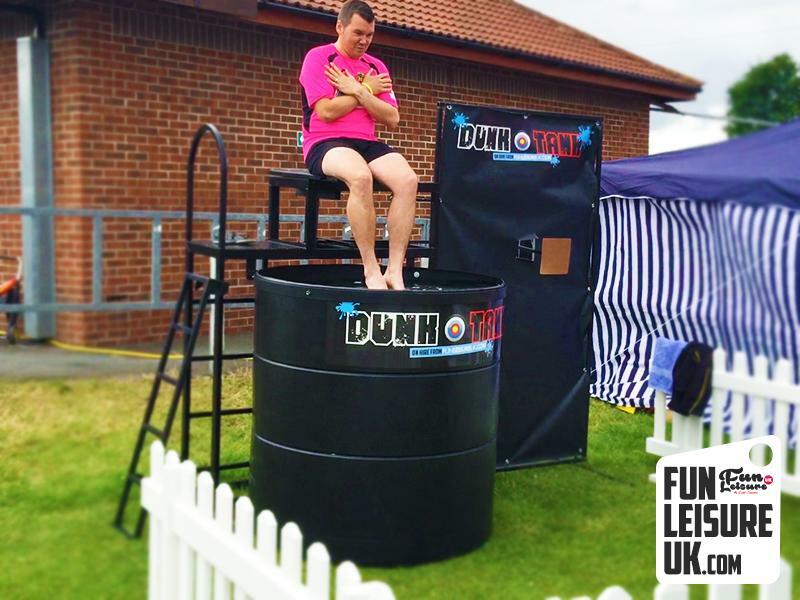 If you require a custom dunk tank for a more specific event, please do get in touch. 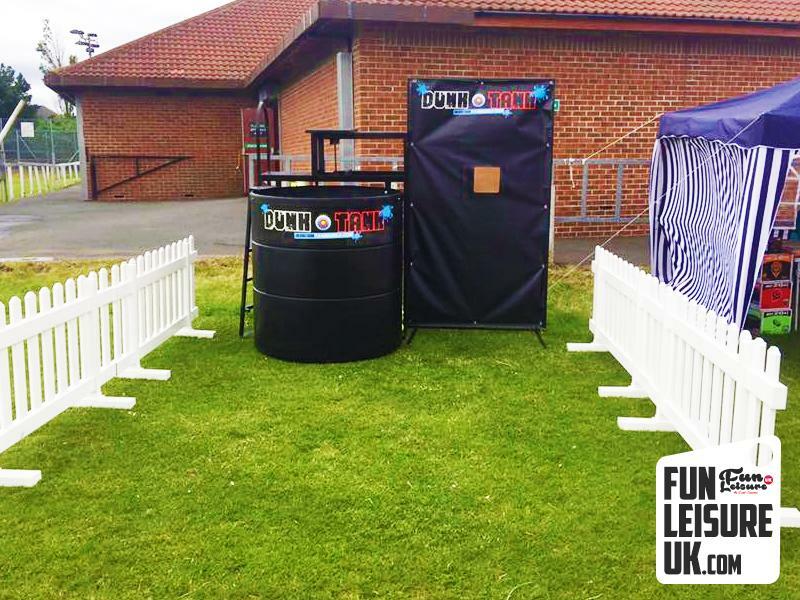 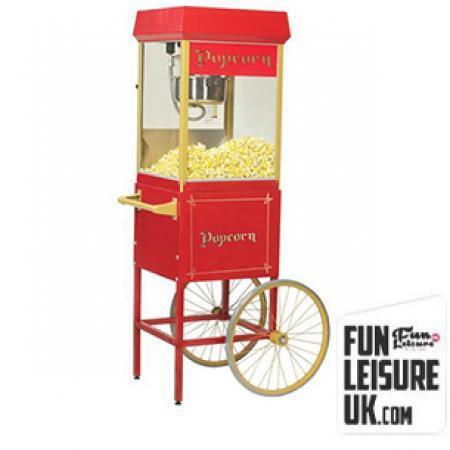 Take a look at our interactive range for more ideas. 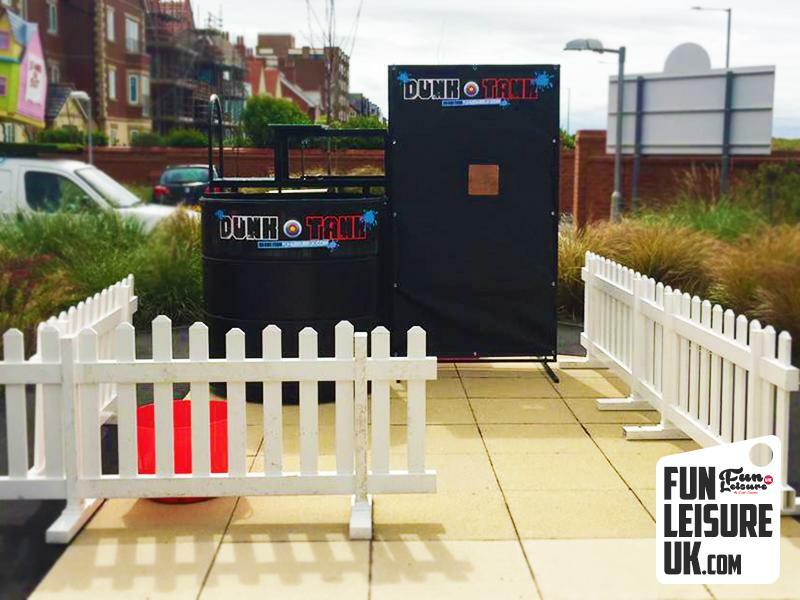 *this unit has been designd to work inside and outside venues. 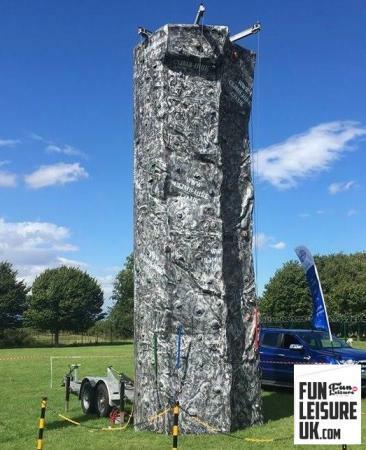 Please speak to a member of the team to discuss locations. 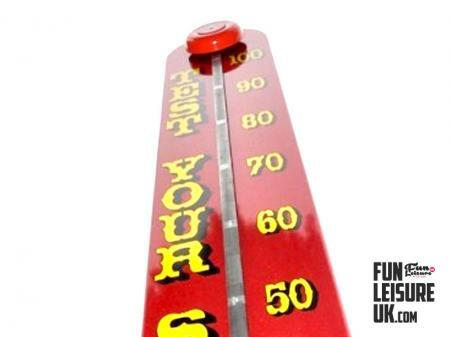 Power Requirements: No Power Required / But water tap will be required / We also supply a hyrant adapter and pipe if you have access to a fire hyrant tap.